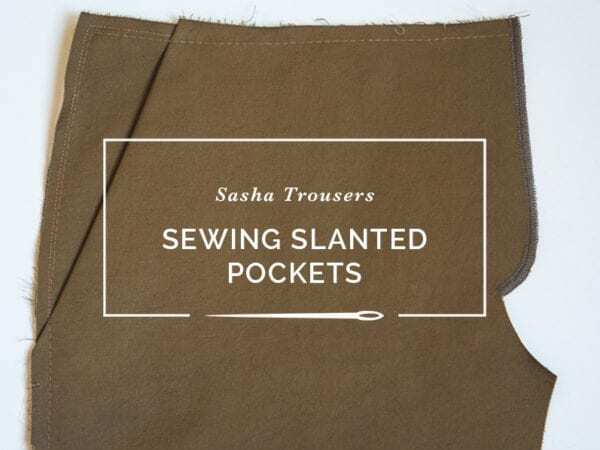 Welcome to the first tutorial for our latest pattern, the Sasha Trousers. 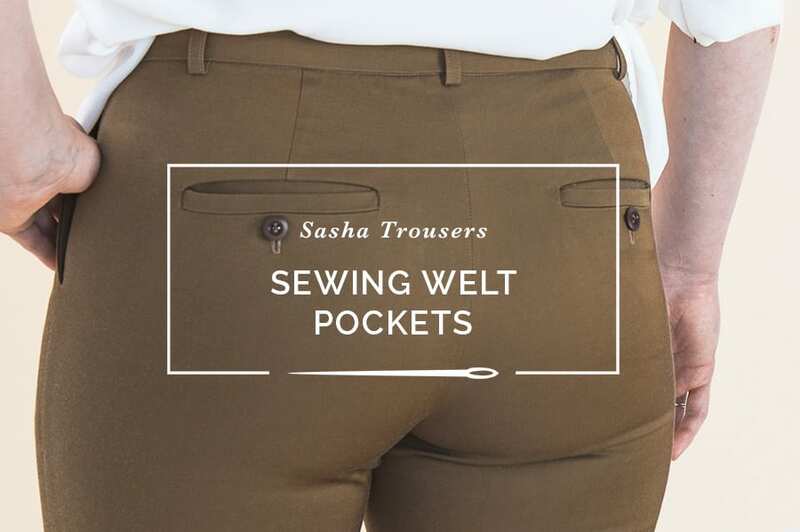 We won’t be doing a full sewalong for Sasha, but I am going to walk you through the trickest parts, and in this post we’ll be talking about how to sew single welt pockets, for Sasha or any other pants pattern your maker’s heart desires. Welt pockets tend to give sewists a little anxiety if they’ve never sewn them before, but I think the heartburn is unwarranted. With a little care, beautiful welts are totally within your power, I promise. 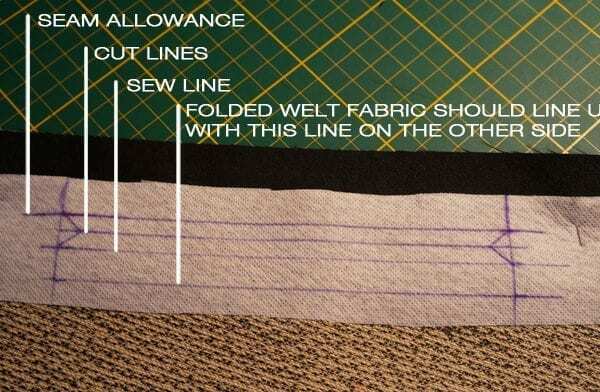 This welt pocket method is a little different than one you may have tried before. We wanted to create a very professional, strong back pocket with a completely clean finish, so there are a few extra steps that will guarantee an extra beautiful final product. First things first, go ahead and sew those back darts and press them towards center back. 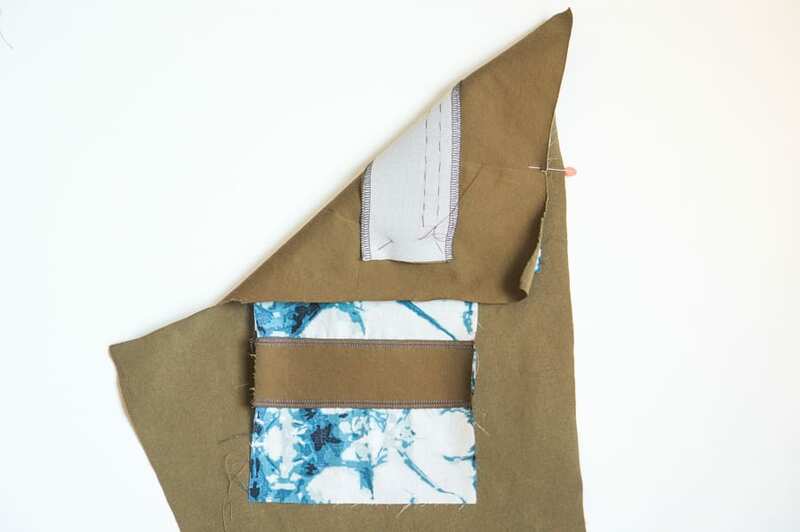 In the instructions, we suggest placing your fusible interfacing on the welt location before sewing the dart, but you can also do it after. This helps anchor the dart point down. 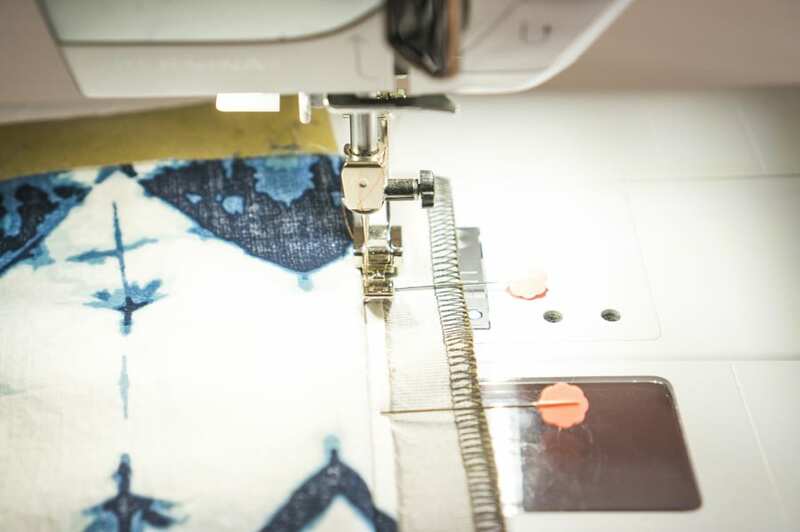 Just make sure you interface here; we’ll be cutting into the fabric so you need to stabilize the area beforehand. You should have already marked the location of the welt opening on your pants. 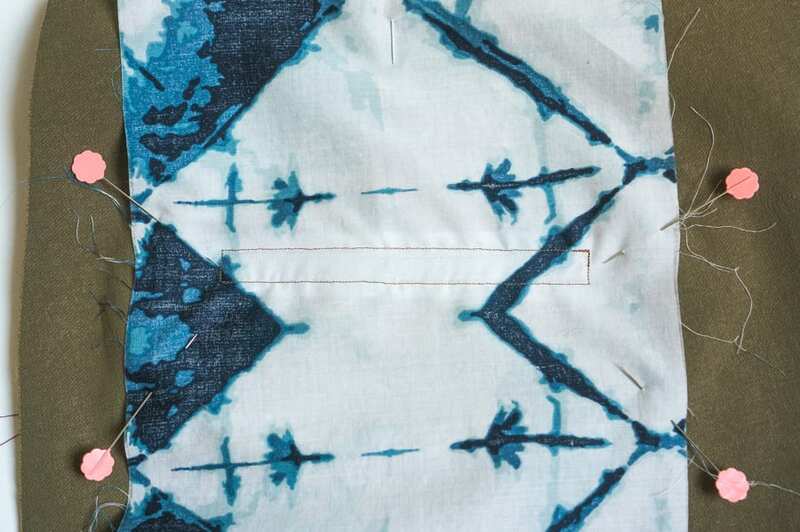 Once your interfacing is applied to the wrong side of the fabric, join those two marks with a straight line, ensuring you mark it on the right side as well (make sure you use something washable so you don’t see when all is said and done). 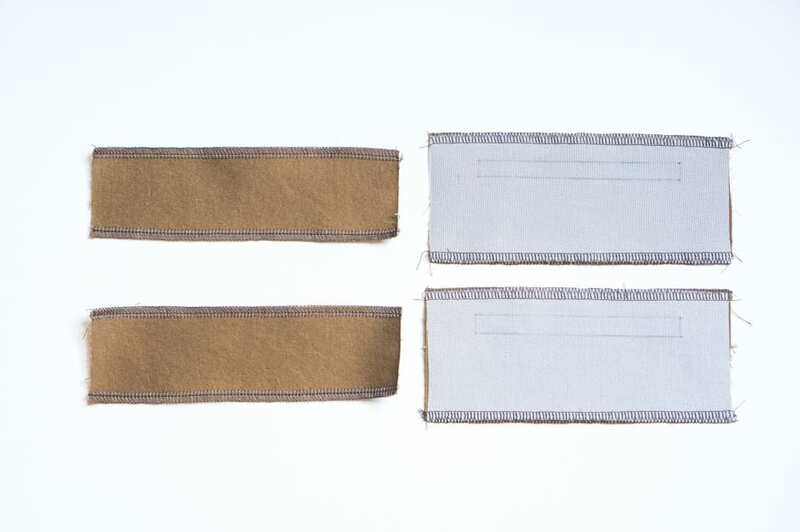 The interfacing should extend past this line by 1/4″ (6mm). 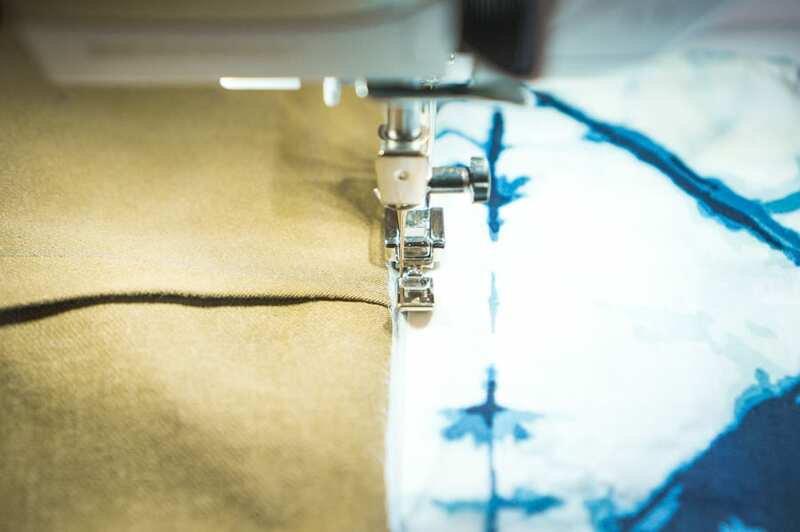 Be precise here; we want to make sure our interfacing will completely cover the welt opening we’ll be cutting shortly. 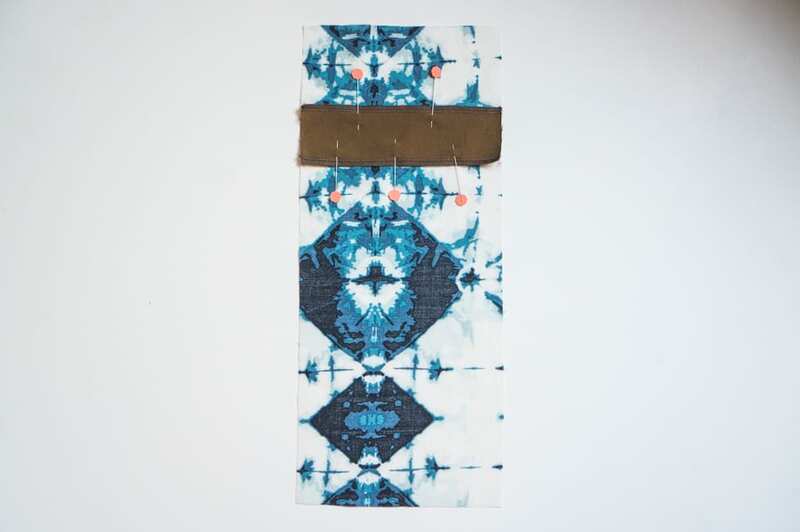 Next up, stabilize both of your welt pieces, and then serge or zig zag the tops and bottoms of both welt and back pocket facing. Make sure you transfer the welt location marks to the interfaced side of the welts. Now it’s time to prepare the welt pocket lining. Line up the pocket facing in between the notches on the pocket lining, with wrong sides together. 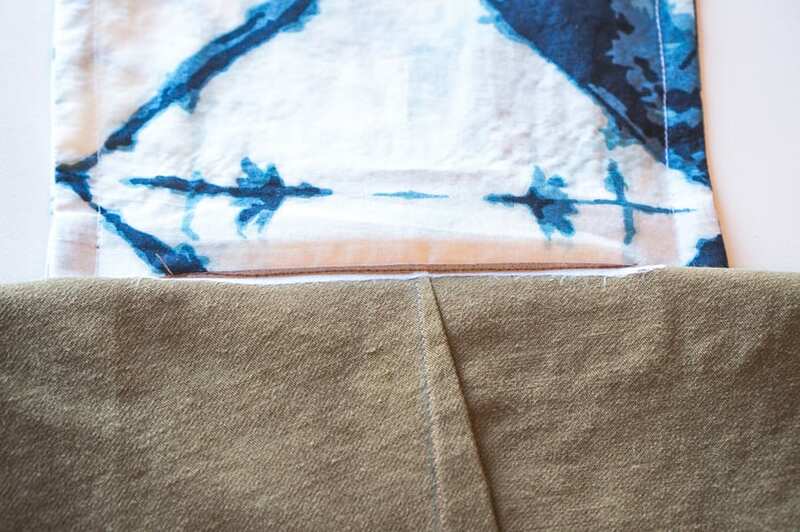 This may seem counterintuitive, but we want the right or “nice” side of the lining on the outside of the pocket so you can see and enjoy it when you put your pants on. The facing is the part you’ll see underneath the welt itself, so it’s important the right side of the fabric is facing up. 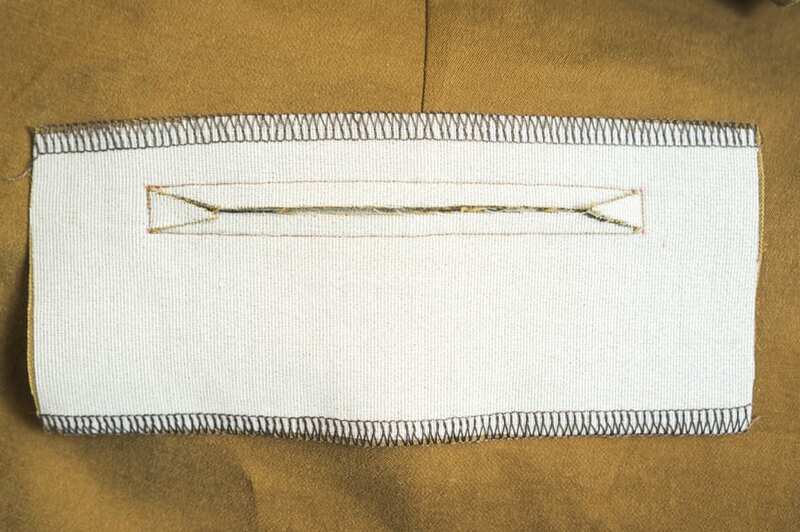 Stitch in place 1/8″ (3mm) from each edge. Line up the welt on the right side of the pants. The top of the box you drew earlier on the interfacing will line up with the straight line you marked on the right side of the pants. Pin into place. 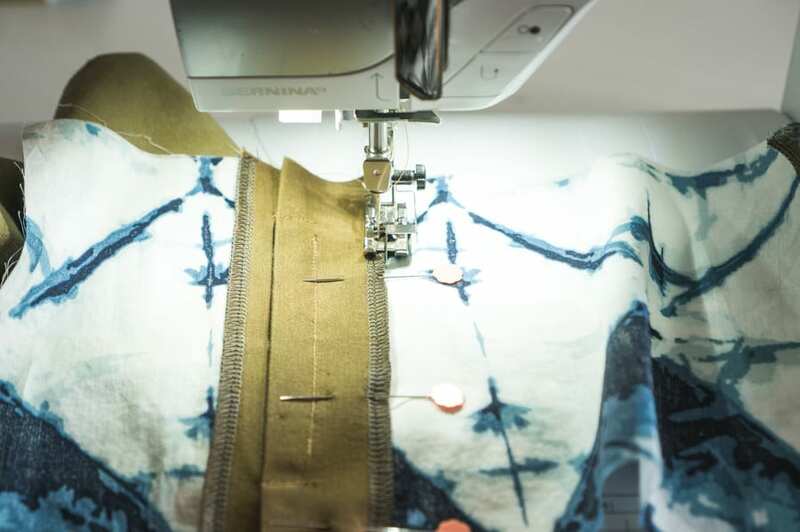 To make sure you’re extra accurate in the next step, use a long hand basted stitch around that welt opening to ensure the leg and welt are correctly aligned. Here’s what that looks like from the wrong side of the pants. 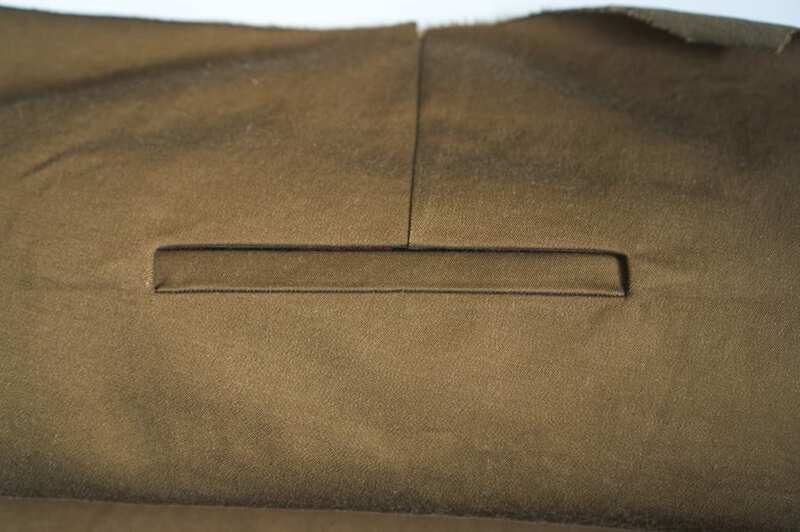 Notice that the interfacing is centered on our basted welt opening. Before we sew that welt for real, we need to pin the pocket lining in place. With the wrong side of the leg facing you, lay the lining on the leg with the right side of the lining touching the wrong side of the leg. 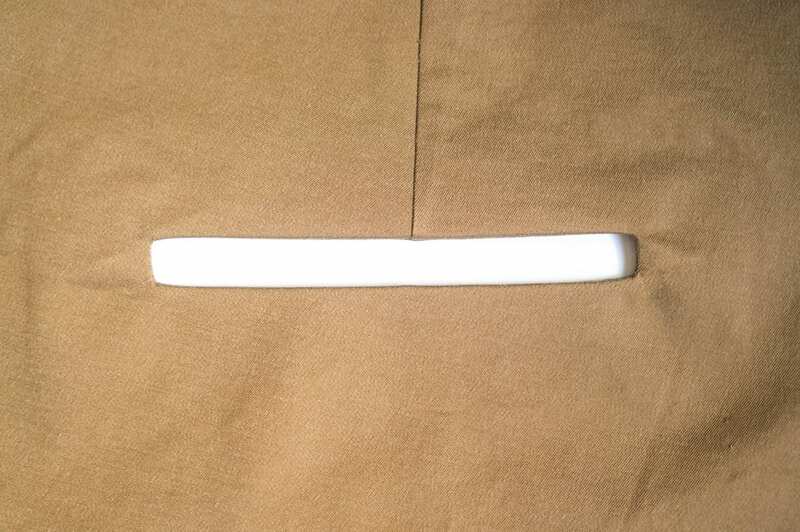 Match the notch on the top of the pocket lining to the dart. 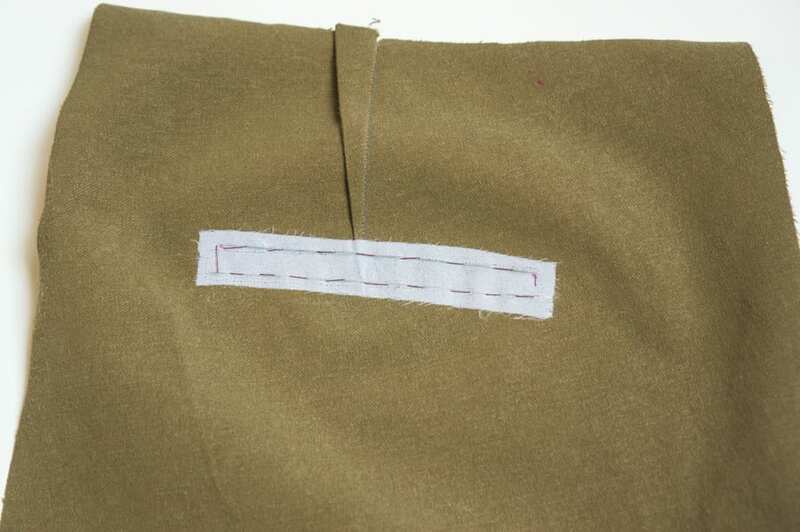 Ensure the lining is centered evenly on the welt location and pin into place. 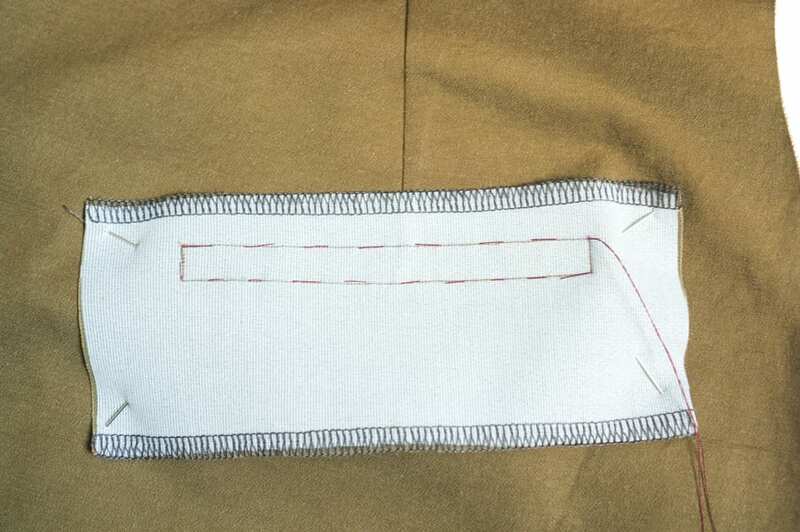 The pocket facing should be face up; the lining will be folded in half wrong sides together, and that facing will then cover the welt opening at a later step. At your sewing machine, place the leg face up. 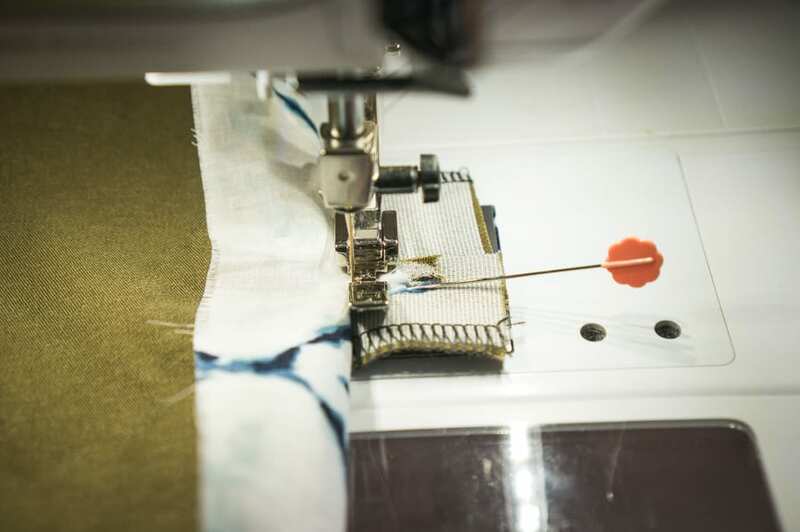 Stitch around the basted welt opening using a short stitch length (1.5mm), leaving your needle down as you turn the corners, backstitching at beginning and end. 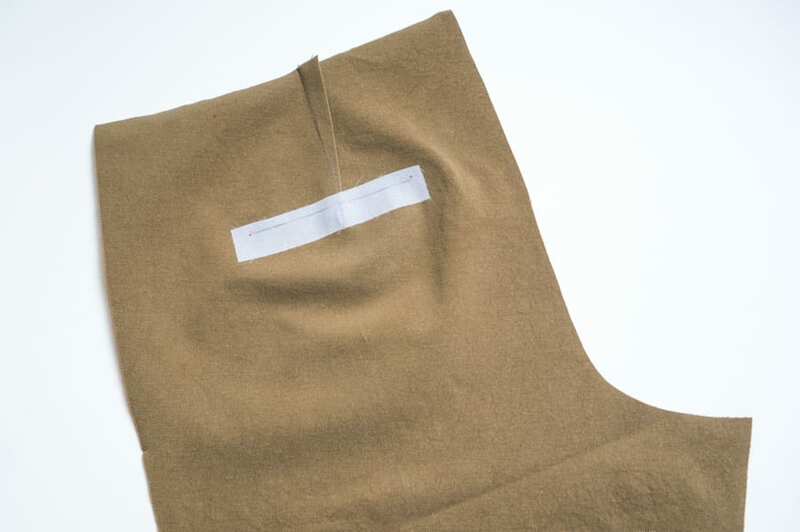 Make sure you are sewing through the three layers of welt, leg and lining, with everything laying flat. Make sure the dart point does not extend past the welt opening you are sewing or it will look weird when you’re done; it should end somewhere in the middle. Remove all the pins and basting stitches. To make the welt turn neatly to the inside on the next step, press the top edge down along the stitch line. Repeat for the bottom edge. Now the scary (not really) part: use a sharp, small pair of scissors and cut a line straight through the middle of the welt opening. Stop about 1/2″ from the corners, and then snip on an angle to each corner creating a triangular wedge. You are cutting through all three layers of welt, leg and pocket lining. Snip as close as you can to the stitching without actually cutting it; this will ensure there are no puckers at the corner. Now the fun part! Pull the welt through the opening to the wrong side of the leg. Press very thoroughly around the opening so you get a nice, crisp rectangle. If you see any puckers, you may need to clip a little bit closer to the corners of the sewn welt opening. Here’s what it looks like on the wrong side. Cool, huh? With the wrong side facing up, lift the bottom edge of the facing up so you can see the seam allowance you just cut open. Press that seam open; this will help reduce bulk. While you’re at your ironing board, fold the facing down so the fold aligns with the top of the welt opening in an accordion fold. From the outside this will create the look of the welt. 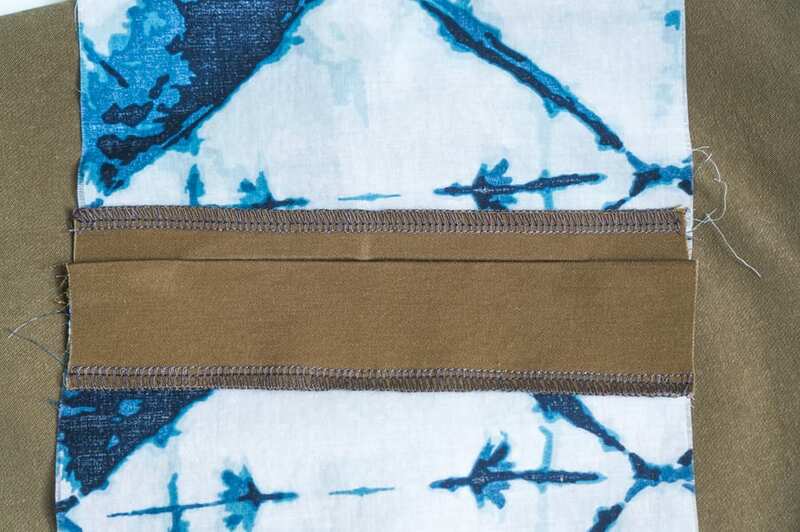 To help anchor everything in place and prevent your welt from sagging, stitch the facing to the bottom edge of the welt opening, along the center of the seam you pressed open in the above step, as close as you can get to the stitching (using a zipper foot helps). 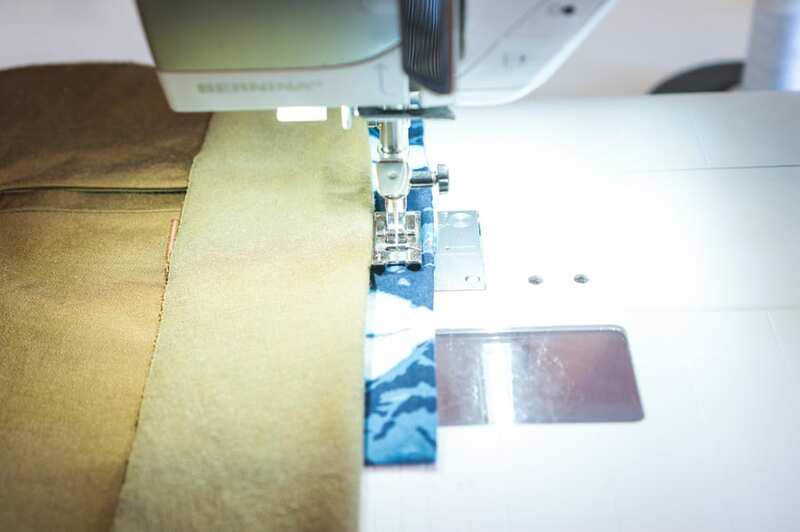 Some methods call for stitching in the ditch along the bottom of the welt on the right side of the pant leg but I prefer to do it this way so everything is nice and hidden. Now we want to anchor the sides of the welt opening as well. To do that, flip the side of the welt over to the side so you can see that little triangle wedge you snipped earlier. Sew the wedge to the folded welt, again as close as you can get to the original stitch line. To anchor the bottom edge of the welt to the lining, flip the lining out. 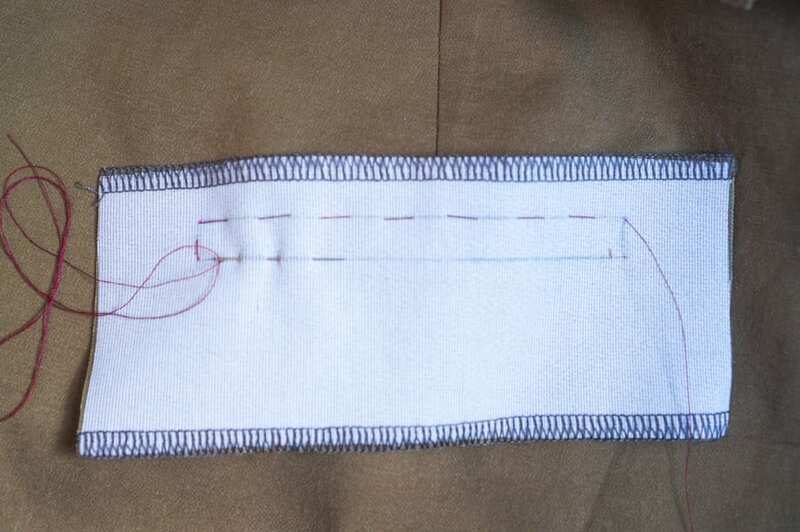 Pin the bottom edge of the welt in place to the lining only. 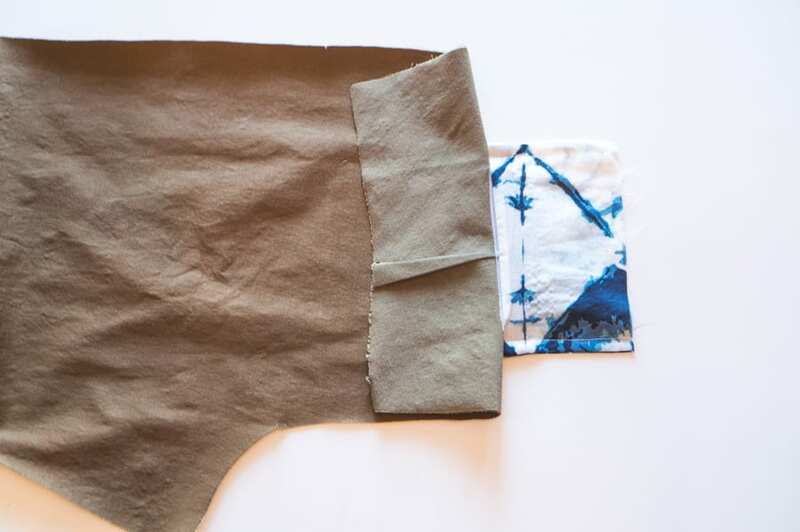 Stitch to the lining using a 1/8″ seam allowance; make sure the pant leg is tucked out of the way and not caught in your stitching. 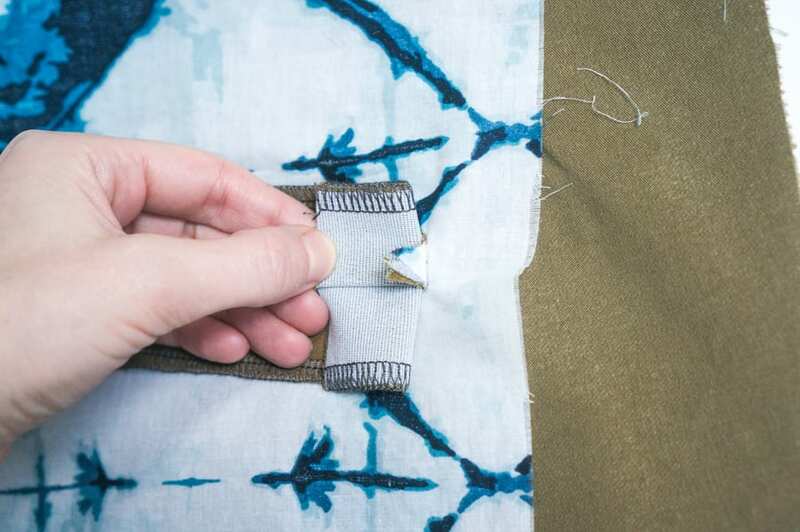 If you want to sew a buttonhole, now is the time to do it. 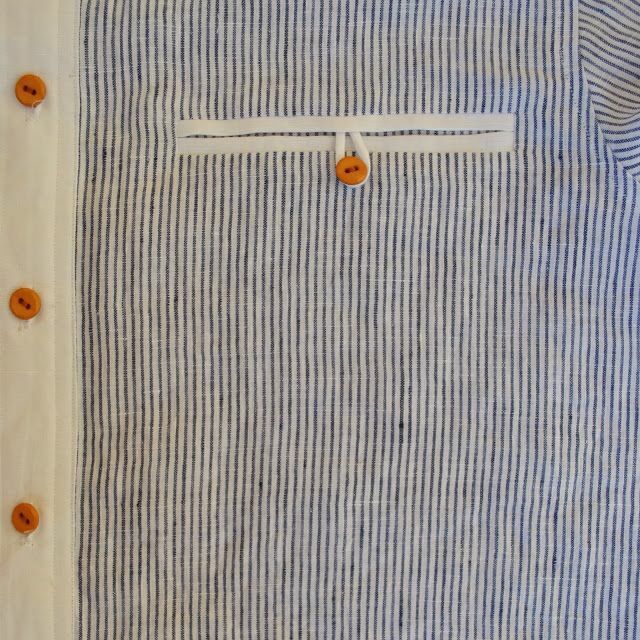 This step is completely optional; it looks cleaner and more streamlined without a button, but you may prefer to anchor the pocket closed with one. 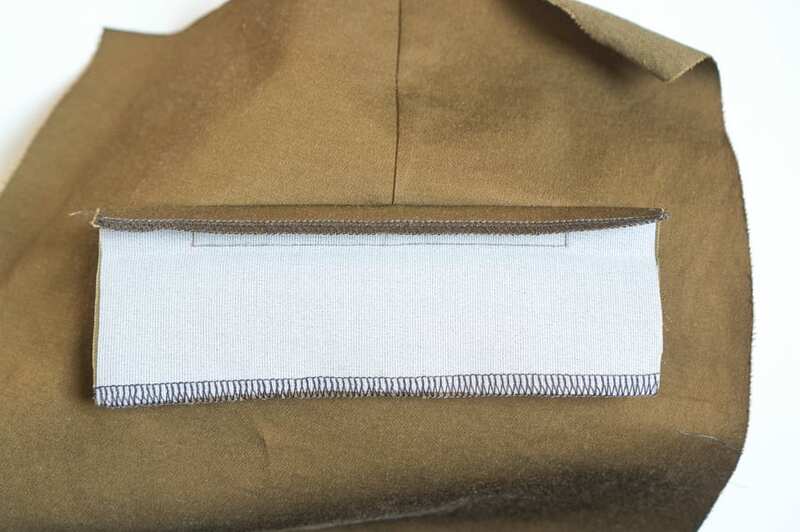 You should have just enough room to fit the buttonhole along the bottom edge of the welt; if not press a little bit of fusible interfacing to the underside of the lining to help stabilize the area. See our post on sewing perfect buttonholes if you need some tips for this step. You can also make a little rouleau loop if you prefer (something like this perhaps? 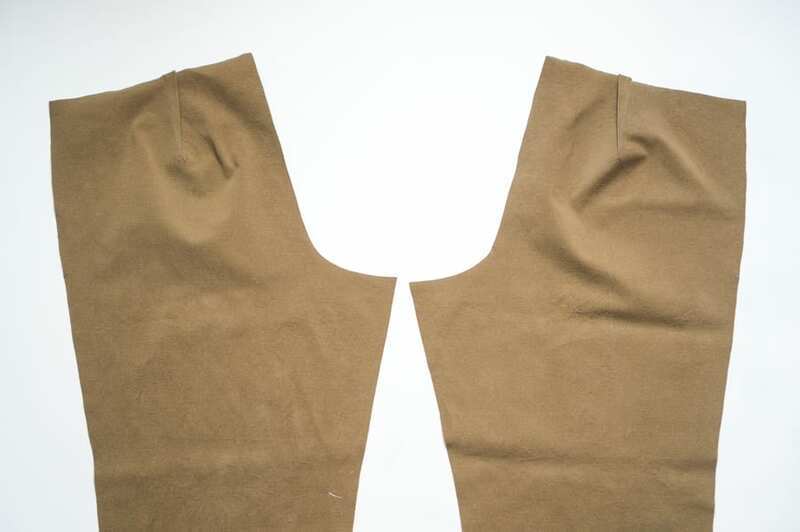 ), but that would have to be sewn at the same time you sew the welt to the pant leg, with the loop sandwiched in the stitching along the top edge. 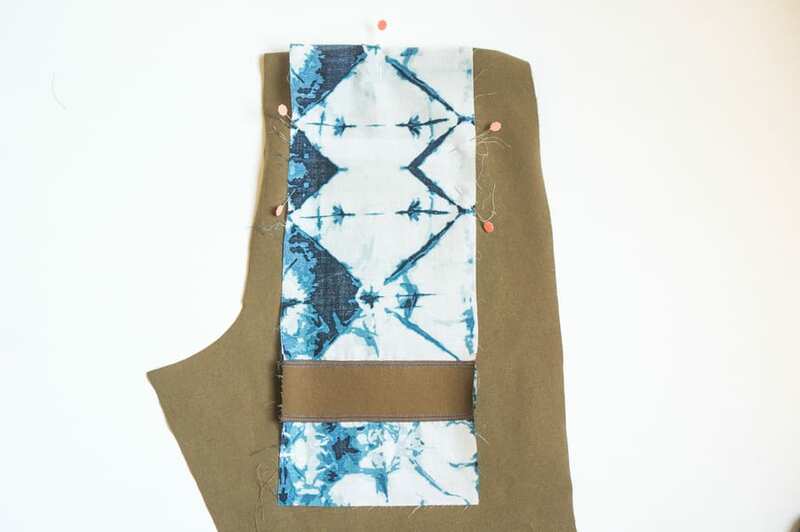 Cut your buttonhole open now; it will be too hard to do it once the pocket is assmbled. 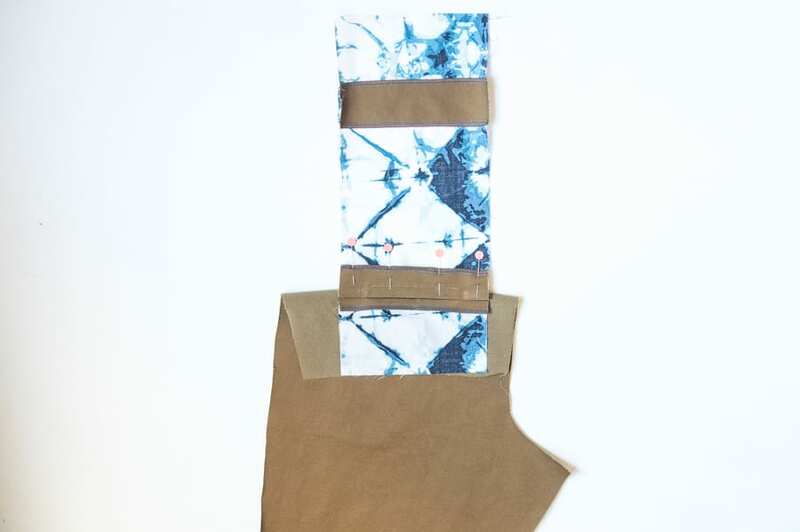 To make a truly beautiful pocket bag, we are going to french seam everything for a super clean finish. 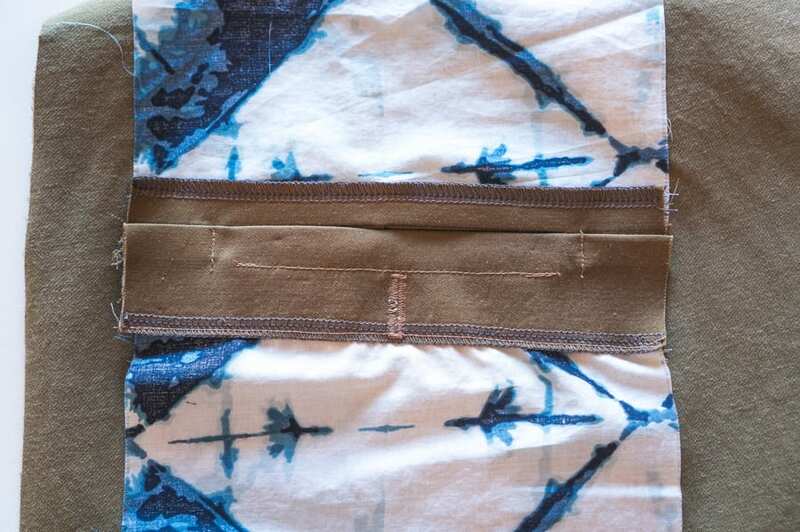 To start, press the pocket bag up along the notches/indicated fold line, wrong sides together. Now open the pocket bag up and place it face down on your work surface with the leg facing you. 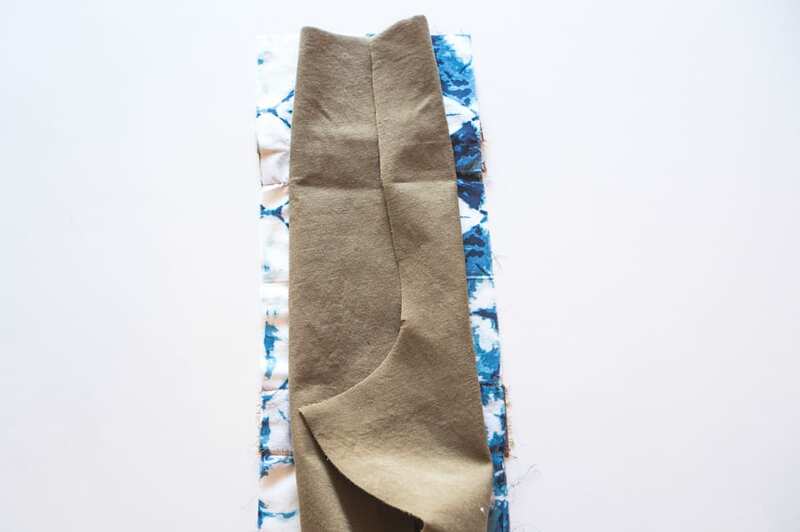 Roll your leg inwards to expose the raw edges of the pocket bag. Now fold the leg up and out of the way. 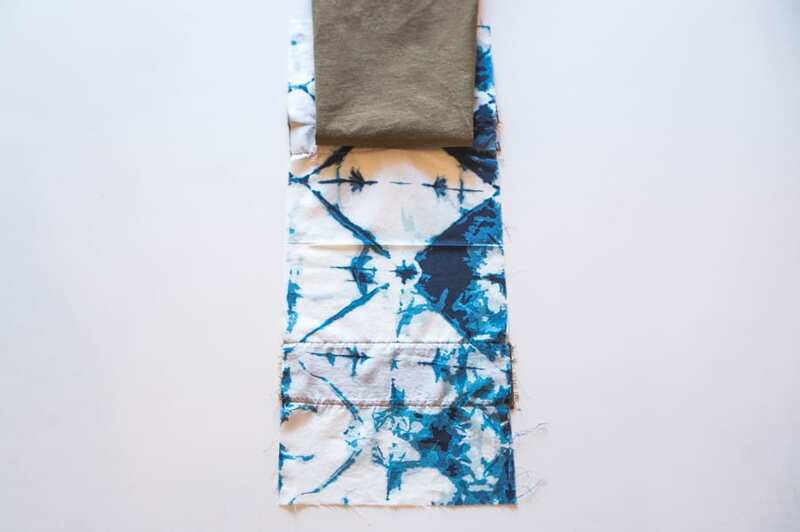 Flip the pocket up and over the folded up pant leg along the line you pressed earlier, right sides together. 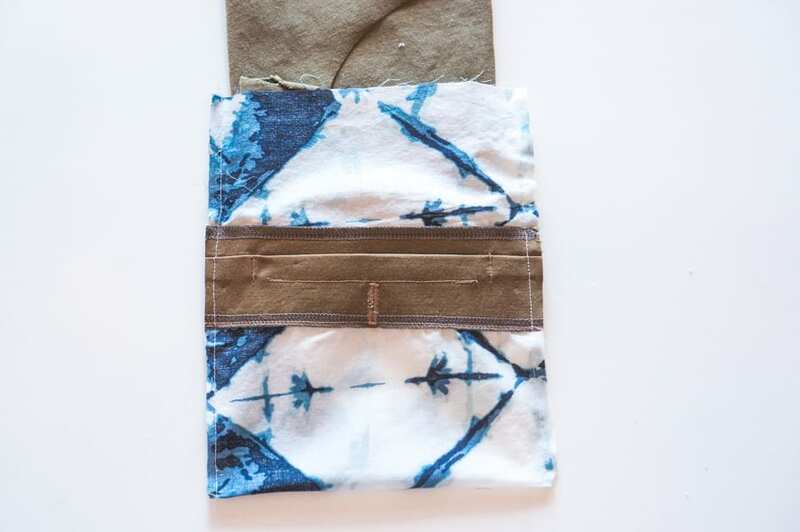 Stitch along each long edge of the pocket bag at 1/4″ (6mm). Make sure you are not catching the leg in your stitching. Trim the seams if necessary. Now turn the pocket right sides out. Use a point turner if necessary to get nice sharp corners along the bottom. Press and stitch the sides seams again at 3/8″ (10mm). One final step to anchor the welt construction down before we finish the pocket. Once again we need to stabilize the top of the welt so it doesn’t sag. 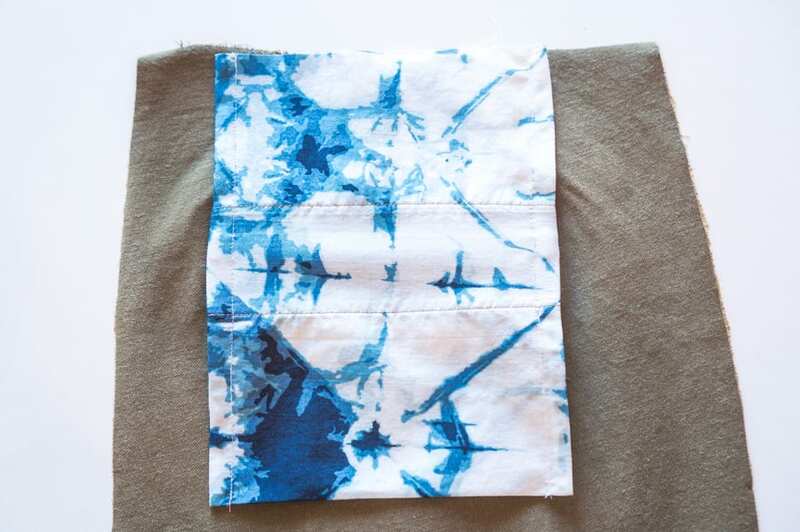 To do so, fold the top of the pants away from the pocket bag. Stitch the lining together right where it is attached to the top of the welt opening. 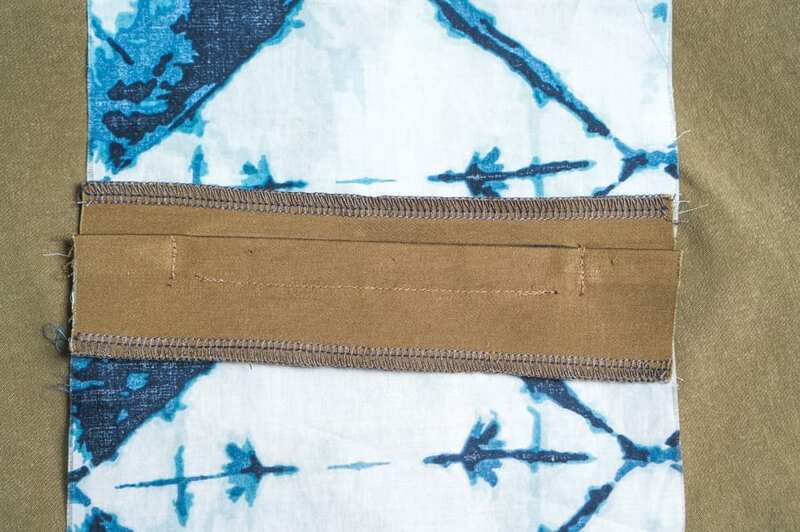 Get as close as you can to the existing stitch line; again a zipper foot helps. 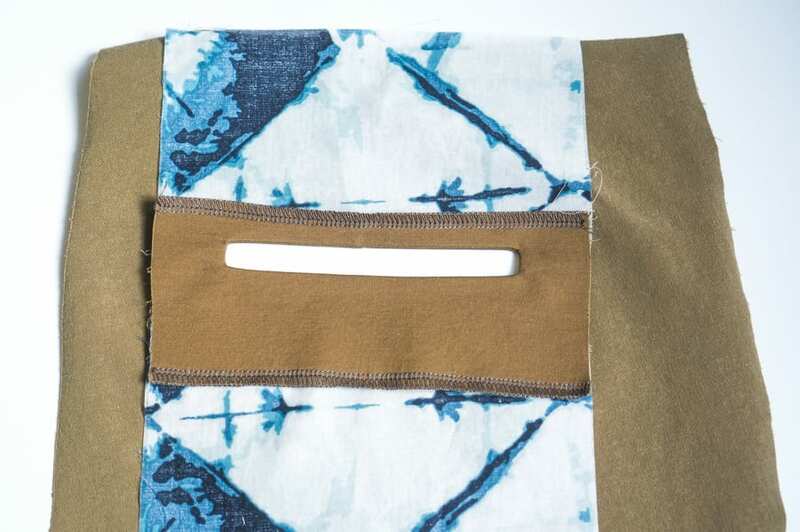 To finish, baste the top edge of the pocket bag to the top of the pants, well inside the seam allowance. It probably won’t line up exactly; don’t worry since all of this will be enclosed in the waistband at a later step. 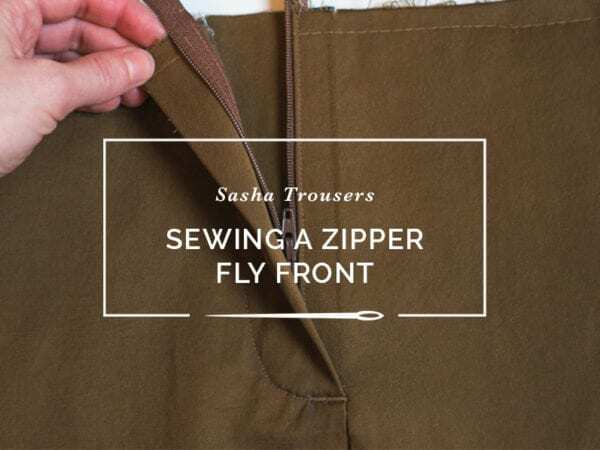 Trim off any bit of lining extending past the waist of the leg if necessary. Once both welt pockets are done you can proceed to sew your back crotch as described in the instructions. 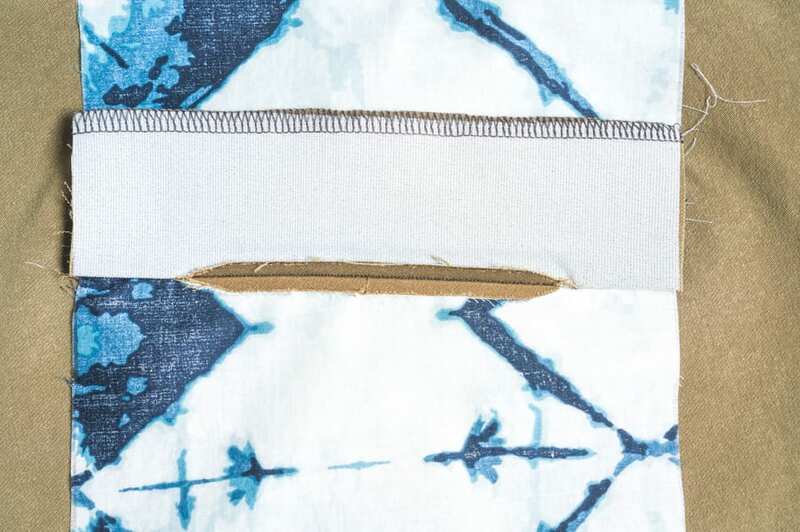 Just be sure to reinforce it with two lines of stitching since this seam sees a lot of stress. Doesn’t it look pretty when you can see the right side of the lining? 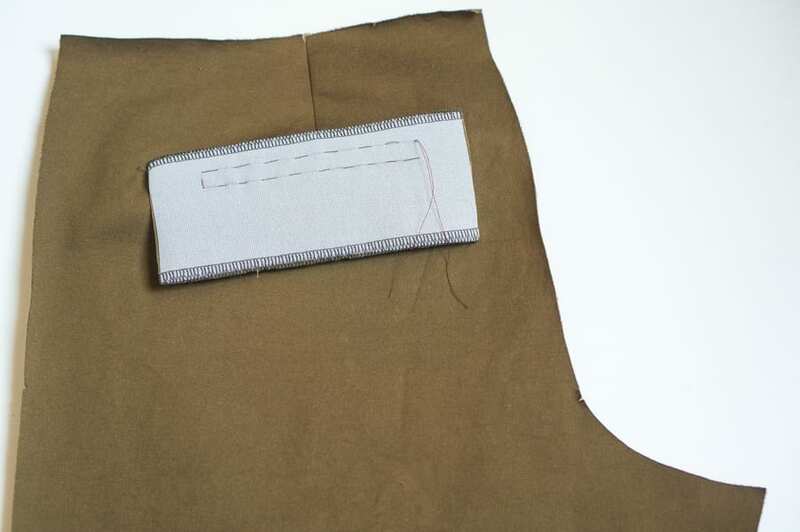 If you sewed a buttonhole, you can now sew the button in place along the inside of the pocket on the facing. 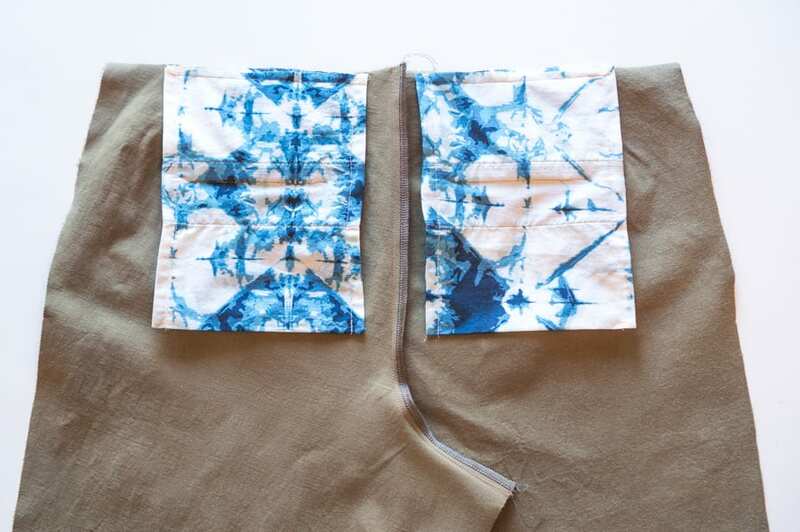 And that’s it for this tutorial on welt pockets! Stay tuned the rest of this month; we’ll also be sharing tutorials on sewing slant pockets, the fly front and the waistband.